It’s official. 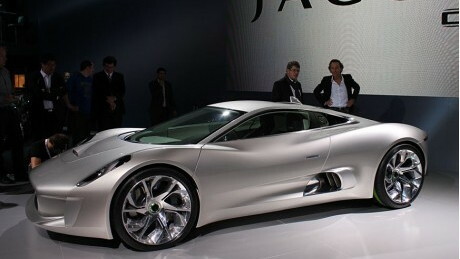 Jaguar has confirmed today that its gorgeous C-X75 supercar concept will be heading into production and should be hitting a road near you by late 2013. Today’s announcement is in response to overwhelming praise given to the concept since its debut last year at the 2010 Paris Auto Show, as well as a chance to showcase the talents that Jaguar and its partners can muster. We say partners because the new Jaguar supercar is being developed together with the Williams Formula 1 team, as well as parent company Tata Motors. Williams in particular will be providing insight gathered from the world of F1 racing, namely, its aerodynamic design capability, efficient powertrain technology and carbon fiber construction expertise. That’s right. The new eco supercar will be built around a full carbon fiber chassis, whose low weight, which could see the car's final curb weight come in at less than 3,000 pounds, should ensure not only stunning performance but also stellar fuel economy. 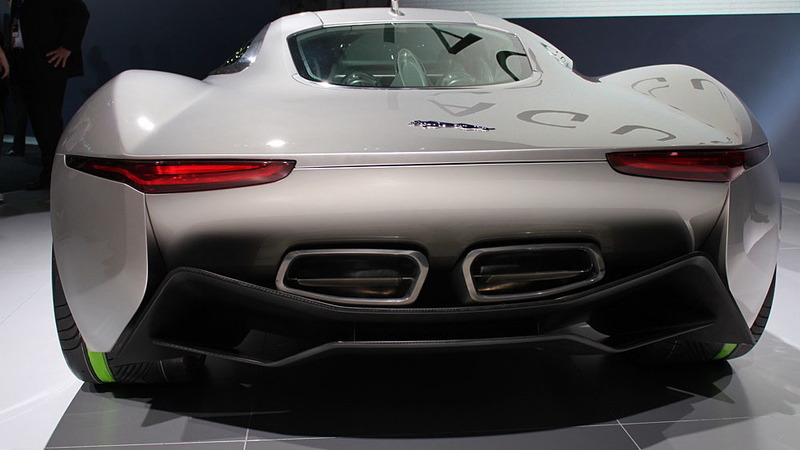 Note, the microturbine technology previewed in the original C-X75 concept won’t make it to production in time for the 2013 deadline. Instead, the production version will initially feature a plug-in hybrid setup with dual electric motors, a downsized internal combustion engine and all-wheel drive. However, both Jaguar and its parent company Tata have confirmed their commitment to microturbine technology in cars, which means we could eventually see the new Jaguar supercar fitted with the jet engine based powertrain. 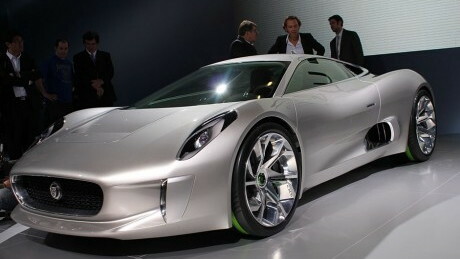 As for the plug-in hybrid system planned, it’s thought that Jaguar will employ a turbocharged 1.6-liter four-cylinder engine, similar to the design to be adopted by Williams and other F1 teams in 2013, for its latest supercar. This downsized engine will be used to charge up an array of lithium-ion batteries which will power the car's two electric motors. Jaguar describes the system as being a parallel hybrid, which means this compact internal combustion engine should also drive the wheels along with the two electric motors. Three different driving modes will be available: pure electric mode with a range of up to 30 miles, hybrid mode where the internal combustion engine works in parallel with the dual electric motors, and finally track mode where everything is turned to the max. Jaguar promises that fuel economy will be comparable to a compact hybrid sedan on sale today, which means a combined fuel economy of around 40 mpg. Despite this frugality, performance will be world-beating. Some initial specs are a 0-60 mph time of less than 3.0 seconds, a 0-100 mph time of less than 6.0 seconds and a top speed in excess of 200 mph. Of course, to make sure it can also handle better than the best, the new Jaguar supercar will also feature advanced torque vectoring technology, active suspension and carbon ceramic brakes. If you're thinking all this is starting to sound very expensive, you'd be right. Exclusivity will be the name of the game here, and in keeping with this theme only 250 examples of Jaguar’s new supercar will be built--both for road and track use--between 2013 and 2015. As such, pricing will be high, with initial estimates set at £750,000 (approximately $1.23 million). 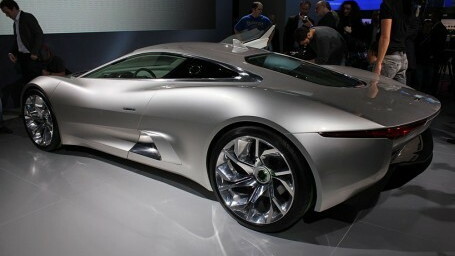 That may seem steep but Jaguar wants to make the buying experience one customers will never forget. Entry to this league will include special meetings and events held together with the Williams F1 team, which we can guess will include track days and invites to F1 races around the globe. 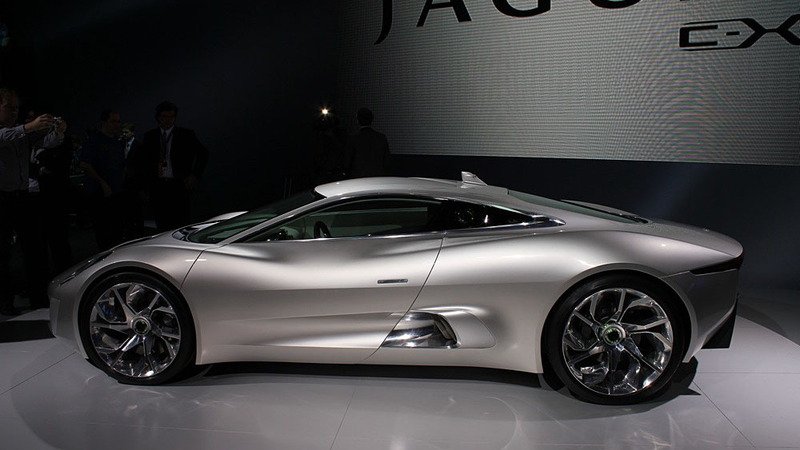 If you’re interested, we suggest hitting up your closest Jaguar dealer in a heartbeat as a car as striking as the original C-X75 concept and limited to just 250 units worldwide is sure to sell out in an instant.